The NASCAR Foundation will host their first-ever NYC fete to celebrate 10 Years of Giving and to honor its Founder Betty Jane France, who passed away unexpectedly last month. 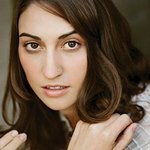 Grammy and Tony nominated singer-songwriter Sara Bareilles will perform at the gala. Expected to attend are honoree Mark Lazarus (Chairman, NBC Sports Group); Hosted by The France Family, including Brian France (CEO and Chairman of NASCAR) and Amy France; featured performer Sara Bareilles; NASCAR Hall of Famers Richard Petty and Rusty Wallace; NASCAR Champions and Rising Stars including Jimmie Johnson, Kyle Busch, Danica Patrick, Kyle Larson, Kasey Kahne, Ricky Stenhouse Jr., Martin Truex, Jr., Julia Landauer, Mike Helton; and special guests Lesa France Kennedy, Krista Voda, Ben Kennedy, Adrienne C. Moore (Actress, “Orange is the New Black”) and many more. The benefit will also launch of the Speediatrics Children’s Fund and present a live auction featuring the artwork of the 2015 Betty Jane France Humanitarian Award winner Jeff Hanson. MORE: For more information and tickets, visit www.nascarfoundation.org/Honorsgala.